Dr. O'Leary grew up in Montreal, Canada and has lived in the Dallas area for 30 years. She is fluent (but a little rusty) in both French (merci beaucoup) and Vietnamese (chao ban). 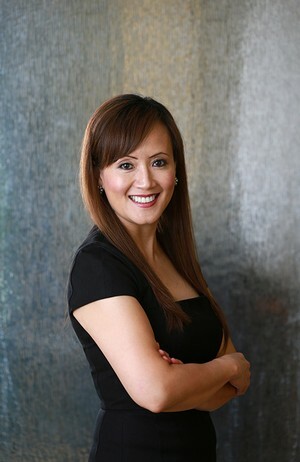 Her ultimate goal as an endodontist is to provide excellent care to her patients so that after receiving treatment they will leave her office with a sense of comfort knowing they have received the best quality and skill only she can provide. Dr. O’Leary became board certified in November 2003. As of June 2017 only 23% of endodontist nationwide were board certified1. The board certification process is rigorous and indicates that a doctor has achieved the highest level of education in endodontics, understands and applies new literature and research to their practice and that they regularly employ enhanced techniques and patient care. Dr. O’Leary has one married daughter, a son-in law in the National Guard and a grandson. She also has a son that recently joined the National Guard. Besides spending time with her family and her “main squeeze”, she has many interests that include gourmet cooking, interior decorating, gardening, working out, golf, and travel. 1Case, Emily & Williamson, Anne & Johnson, William & Liu, Wei & Qian, Fang. (2017). Endodontic Board Certification: A Review of Factors Affecting the Certification Rate. Journal of Endodontics. . 10.1016/j.joen.2017.03.022. UNC graduate endodontic residents, Chapel Hill, North Carolina. Dallas Dental Assistant Association, Dallas, Texas. Southwest Society of Endodontists, Dallas, Texas. North Texas Dental Society (4th District of TDA), Plano, TX. Southwest Society of Endodontists, Austin, Texas. Vietnamese Medical Association of the U.S.A.
O’Leary, L., Terauchi, Y., and Tittle, K.
Annual Meeting, American Association of Endodontists, WashingtonDC. Feldman, M., O’Leary, L., and Terauchi, Y. Annual Meeting, American Association of Endodontists, Boston, Massachusetts. Radman, P., Meyers, J., and O’Leary, L.
Annual Meeting, American Association of Endodontists, Atlanta, Georgia. Clinical Applications of cone beam CT in Endodontics. O’Leary, L. Endodontic Radiology Book (2nd ed. ), (2012), chap 22, pp 331-366. Evaluation of the efficiency of a new file removal system in comparison with two conventional systems. Terauchi Y, O’Leary L, Kikuchi I, Asanagi M, Yoshioka T, Kobayashi C, and Suda H. JOE 2007 May; 33 (5):585-588. Removal of separated files from root canals with a new file removal system: Case reports. Terauchi, Y., O’Leary, L., and Suda, H. JOE 2006 Aug; 32 (8):789-797.